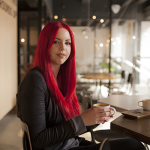 In a world increasingly reliant on technology to facilitate human interaction, we’re seeing a rising need: the need for real, meaningful, face-to-face human connections. Although this trend has been gaining traction for some time, we’ve seen it reach a new peak in response to our unstable macro-environment in 2017. Our transition through political, economic and social unrest, as well as our over dependence on technology, has brought this need to the fore. But how has this occurred, and what does this mean for brands? News of AI’s, automation and our smart phone addiction dominate the headlines. Technology is convenient and makes our lives faster and easier – but there’s a general mood of fear and anxiety in popular culture surrounding its implications for our wellbeing. Most notably, its association with loneliness. Aspects of our lives which were traditionally face-to-face are now done in isolation: from dodging the inconvenience of a sales adviser for an online chat-bot, through to entirely automated stores. Even our most sociable moments have altered: we’re the ‘freelance generation’ – working at home instead of in an office, or Whatsapping our family rather than going round for dinner. There is a concern that human interaction is gradually being squeezed out of our day-to-day lives. The implications and worries surrounding technology are already making themselves known: studies are attributing social media as a key cause of depression and loneliness, and there are endless Sci-Fi shows like Black Mirror stoking fears of a dystopian techy future. Equally, 2017 saw consumer confidence plummet as the effects of Brexit became clear: the cost of living went up and we had to adjust, and the divide in Britain still remained: a division between Brexitors and non-Brexitors, the young and old, the North and the South – a stark line through the grass of the UK. As a response to this macro-environment: human connection has become ever more important – to push past technology and seek out the comfort and companionship of others in a time of mass anxiety. From our research into positive psychology, we know social relationships are critical for our well-being. Humans are social creatures, and we feel happier just being around others. ‘Relationships’ is one of our fundamental drivers of human Happiness – we believe the need for face-to-face relationships will always exist, but this will be felt more or less strongly depending on the macro-environment and the factors threatening it. This means it’s only natural for us to feel lonely and crave human connection in a world less reliant on people and more reliant on technology. It’s also natural for us to crave the companionship of others when we’re experiencing difficult times. As a result, we’re seeing UK consumers placing high priority on spending meaningful, face-to-face time with others – realising just how valuable and important it is for our wellbeing. Innovative brands across all industries are realising this need and facilitating these connections – bringing people together, in person, to have and share worthwhile experiences and common goals. This doesn’t mean technology and human-to-human connections are mutually exclusive, but these experiences can be enabled through technology. 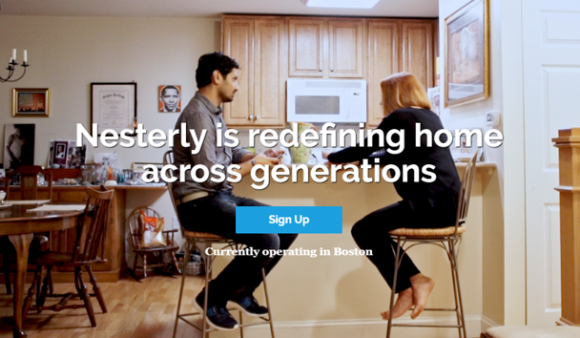 A great example of this is Nesterly, an intergenerational platform that connects homeowners with extra space to people willing to help around the house for lower rent. You match up online, get to know each other better through the platform, and eventually meet up and begin house sharing. The app tackles many social issues, notably loneliness in older generations, and the housing crisis for the young. Ultimately, it helps to build unlikely yet sentimental relationships. Another example is dating app Tonight. Breaking past the emotionless swiping of Tinder, the app’s tagline is “we believe your time is better spent with people, not staring at your screen” – the app arranges in-person dates based on when you’re free and who you want to meet, encouraging experiences rather than empty messages. 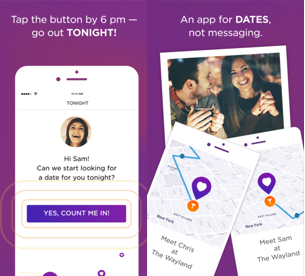 Other dating app Bumble has also recently expanded, through offshoots Bumble Bizz, who put on business workshops and networking events, and Bumble BFF to find a new best friend. Other examples of this trend include: macramé workshops, pop up painting, as well as the rise of group fitness events like The November Project. The technological takeover suddenly seems too drastic of a vision as we realise how important human connections are. We believe human’s inherent need for relationships will mean we’ll always value human-to-human connection, particularly in times of uncertainty. Brands can help consumers by bringing people together to do something meaningful and memorable. Technology and ‘real time’ connection needn’t be separate; brands can use tech to bring consumers together in person. How to get ahead of the curve? Remember, these initiatives will be needed the most when our ability to spend time with one another is threatened. So, whether it be the need for familiarity and human bonding during a time of turmoil; or as a backlash against technology: our Black Mirror fears of cold robotic life are irrational as it seems there will always be a need for the human touch.